got their start in New Jersey. factory? Is it our proximity to Philadelphia and New York? whole thing before going to bed! 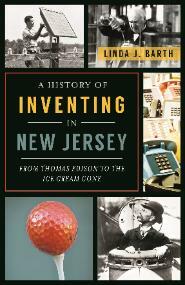 New Jersey is truly the land of inventions. 1,093 patents issued to Thomas Alva Edison. states have much larger populations.